De la Fuente is in the coastal area known as La Jaquita, in the town of Alcalá (Guia de Isora), just below one of the most luxurious hotels on the island, the Gran Melia Palacio de Isora. There, the dirt road where neighbors crossed from their homes to the pools where they learned to swim has been transformed into a modern promenade where nothing is missing from a playground to a sports center and a beach bar. Tourists red, or white skin if they have already toasted in the sunlight mingle with the local laden beach coolers, umbrellas, floats and mats; Gold and cans in the sand with the most expensive in the cocktail bar tables. But one thing remains the same: the endless pools to enjoy the blue horizon and the black sand beaches between volcanic formations where jump into the Atlantic. Among those who have seen how time has passed for their bathing area is always the isoriana Pilar Curbelo. “I grew up here. I remember grandparents, youth and children were coming from Alcala to take a bath or spend the whole day,” he recalls, pointing to a set of puddles on the left of the natural pool. “It was there, in the area known as La Caleta” he adds. Curbelo explains that Jaquita there are options for all tastes. “Are those puddles of which I speak, the two natural pools, two sandy beaches, a little more unknown Creek and Punta Blanca, where there is still more puddles” clear to point out that “today we have chosen the pools because we come with the children”. Curbelo and his family begin to mount the bar. First put the umbrella very firm then put towels and eventually make holes in the shade for backpacks, coolers, the belongings of children and bottles of water. “The plan is to take a dip, eating tapas in a nearby bar and return to the afternoon,” explains one of her sisters. “The pools we like the whole family because the water is pristine, there is nothing of dirt and weekday not many people,” says the girl. The heat tightens and Curbelo put under the umbrella to keep talking. “Normally there are more people here than outside, but since the hotel opened many tourists jumped give,” says while it is shedding cargo bags. For isoriana, is not a problem sharing space with visitors, not at all. “We care a lot. We are kind because we know that we live in them,” he says convinced. Leaving the water with goggles in hand, Ada Ruiz and his family appear. The group is Santa Ursula but have an apartment in the area and whenever they can get away to Jaquita, either in the Easter holidays, summer carnivals or occur. “The kids spend great because within the pools can be seen mullet, bream, bream, starfish, damselfish … Come with water and even photographed cameras,” he says. Beside, small, even with wet hair saltpeter, outlines a big smile. “Yes, I love to come here!” Exclaims most. The first stop was in one of the natural pool, ” a swim and lunch ” . “I have beers and omelette with parsley , you want to try it? I are very good,” he said while beginning to get the Tupperware suitcase . 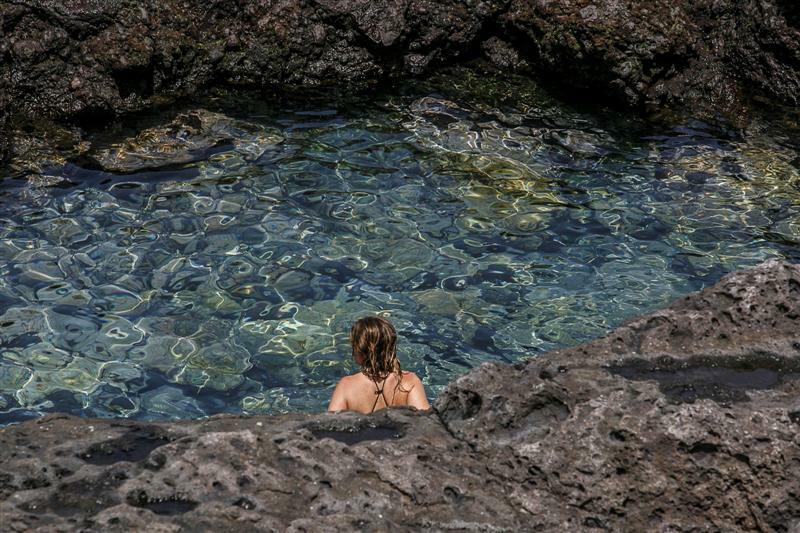 For Tejera , the best of this bathing area are its fully crystalline waters. ” It has nothing to do with most of the southern beaches ” he says. All the La Jaquita have Vicenzo rescuer service, which takes two years to ensure the safety of bathers. “Midweek not so busy but on Saturdays and Sundays no where to put the towel,” reveals the worker. 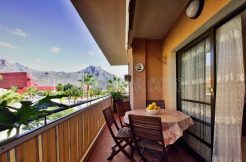 Vicenzo is located in the center of the promenade with visibility to the natural pools left and right beaches. “Not many incidents often occur because the sea is pretty quiet,” he adds. Behind him are booths rescue and bathrooms where an operator finishes cleaning facilities tune. “There are very good services here,” said the rescuer without losing sight of the bathers. Although it is noon and thermometers mark about 30 degrees Celsius, a man runs shirtless for the ride. In the arm she carries one of these devices to measure the pulses and steps. “You know: for the next we exercise here” is heard in the distance in a conversation between two young people. On the wall surrounding this avenue, the palmero Victor Brito and his partner the remains of sand from your feet shake. “We went to a small cove behind the stall,” said Brito. “It is very good because there is hardly anyone,” adds the young. The pair of clappers has come to Tenerife to spend the holidays and staying in the hotel right behind the La Jaquita, Gran Melia Palacio de Isora. “It was the workers themselves who recommended establishing a swim here. There is a private access from the hotel,” Brito said. Young people have to go back to your accommodation after enjoying “a super clear water”. “It is impeccable. Sure return” conclude before resuming step. Behind them, families and groups of tourists keep coming one after another to the pools, pools and beaches. Much remains day ahead to enjoy this heavenly corner.